Many of us love the Psalms, the collection of poetic songs in the Bible, a.k.a. the hymnal of ancient Israel. And there's a good reason why we are drawn to them again and again. The psalmists are so like us. We experience their verses immediately, as if those who sang them first were our contemporaries. We feel, sometimes, as if they knew us, and we feel as if we know them. "Exploring the Psalms with Barbara Crafton" gives you an opportunity to experience these sacred texts in a deep and rich way: aware of their history and the worldview of those long-ago sisters and brothers, but openhearted and imaginative enough to let them speak to us of our world, a world so different from theirs. For human nature has not changed, though the vehicles of its expression may have. This retreat was originally designed to be delivered daily for Lent, so it consists of 47 emails. Each presents a psalm or some verses from a psalm and a commentary on it by Barbara Crafton. 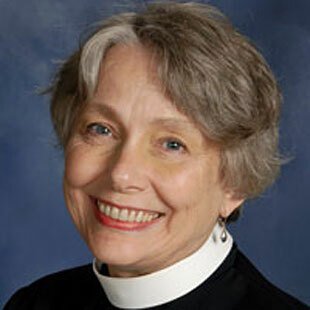 One of the Living Spiritual Teachers profiled at Spirituality & Practice, Crafton is an Episcopal priest and spiritual director who for many years has chronicled God's presence in daily life through her "Almost Daily eMos." In addition to her patented fresh approach to these texts, she will suggest ways for you to bring the experience of them into your life during the day. One of the ways we know that holy scripture is inspired by God is that it is always new. Turn to a passage you have read 50 times and read it again — there is something in it you never noticed until just now. Something pops out at you. Even if you think you know the Psalms, this retreat is bound to take you to new places with them. Our imagination will guide us, as it guided the ancient writers. To take this e-course for Lent, schedule it to begin on Ash Wednesday and choose the daily delivery schedule.